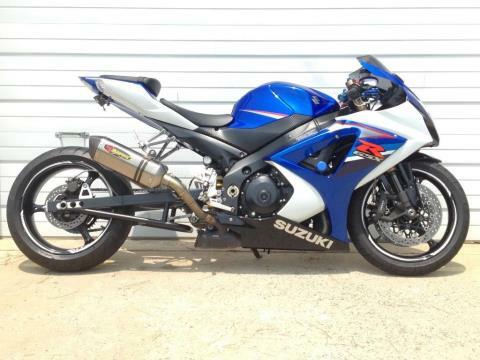 This is a CLEAN TITLE, 2007 SUZUKI BLUE and WHITE GSXR1000 with LOW MILES. 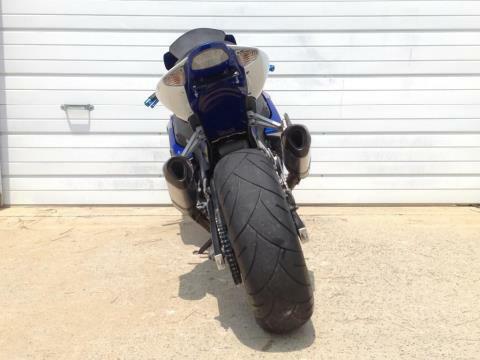 The bike comes with extras that include EVIL ARMS EXTENDED SWINGARM (12" NOT LINKS), DUAL AKROPOVIC EXHAUST, ADJUSTABLE LOWERING LINKS (LOWERED FRONT and BACK), BLUE and CHROME FRAME SLIDERS, BLUE EXTENDED ANODIZED ALUMINUM BAR ENDS, BLUE ANODIZED ADJUSTABLE CLUTCH and BRAKE LEVERS, SPEEDOMETER HEALER (INSTALLED WITH SWINGARM AND GEARING TO INSURE CORRECT MILES), AFTERMARKET CHAIN with AFTERMARKET CUSTOM ANODIZED SPROCKETS, MIRROR BLOCK OFFS with BUILT IN TURN SIGNALS, NEW REAR TIRE WITH LESS THAN 400 MILES, TINTED WINDSCREEN, ANODIZED ALUMINUM RESERVOIR CAPS, TANK PROTECTOR, HID HEADLIGHTS and REFLECTIVE WHEEL TAPE! 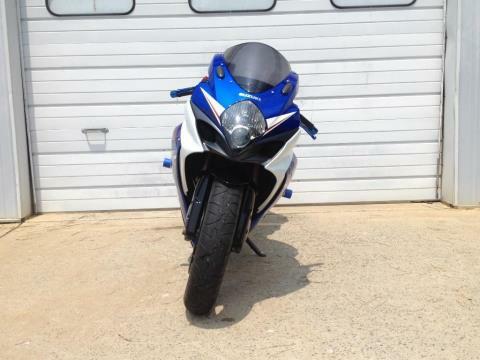 Why buy STOCK OR HIGH MILEAGE STUFF WHEN YOU CAN GET IT WITH LOW MILES AND ALL THE EXTRAS!!!!!! 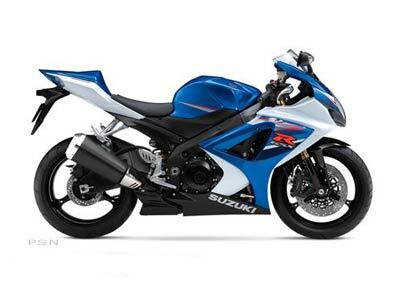 To the team of Suzuki engineers responsible for the GSX-R1000, Own The Racetrack is not just a slogan; it is a way of life. It is a life dedicated to making the most successful open-class motorcycle in the history of production-based racing even better. 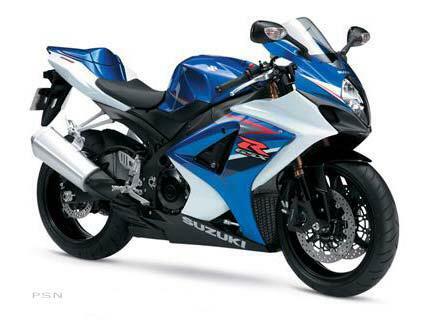 By applying the latest technology and the most recent hard-fought racing experience. 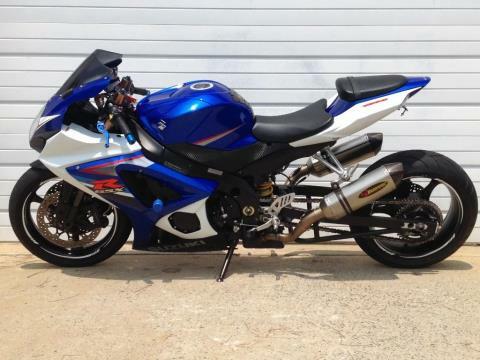 And keeping the GSX-R1000 well ahead of the would-be competition. The key is the motorcycles' ability to do precisely what the rider wants, when the rider wants, how the rider wants. Accelerate. Brake. Corner. Repeat. 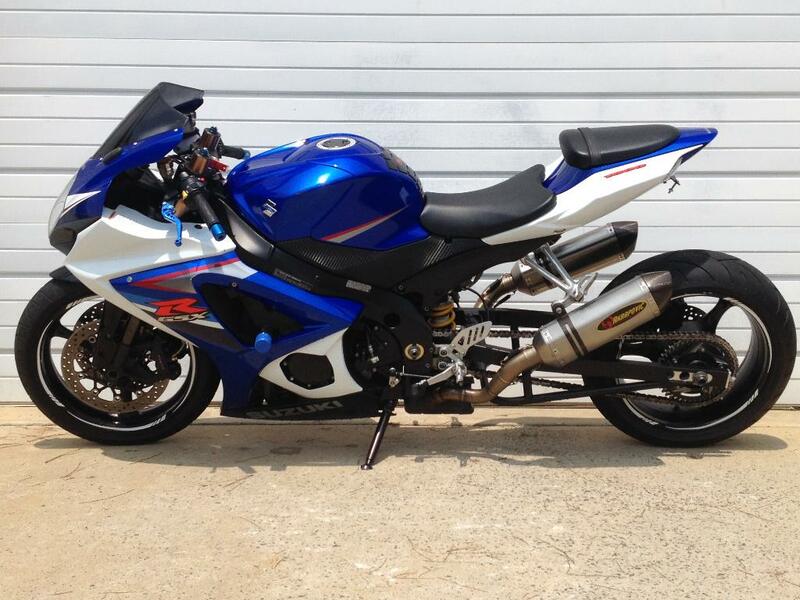 Make it easier for the rider, and the results will show. With better lap times on the racetrack, and more fun on the road. It is called total performance. 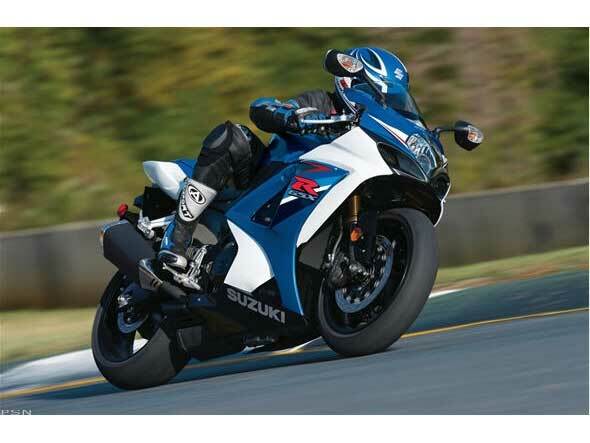 It is what makes the 2007 Suzuki GSX-R1000 the top performer. And it is why Suzuki riders Own The Racetrack.